Buying a home is a rewarding experience, often afforded as a result of years of hard work. With this form of luxury, though, come some additional responsibilities. Due to the widespread use of asbestos throughout the 20th century, it is essential for those involved in real estate to take the proper measures in inspecting and removing the mineral. 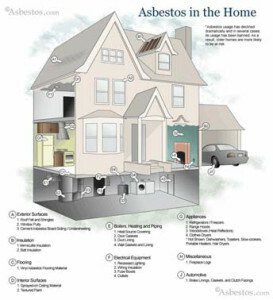 Asbestos exposure has resulted in the development of severe lung cancers such as mesothelioma. Although medical technology continues to improve, mesothelioma claims thousands of victims every year in the United States alone. Mesothelioma can take anywhere from 20 to 50 years for mesothelioma to develop, making it extremely difficult for physicians to accurately diagnose this disease. The amount of asbestos-related incidents in the country has resulted in mesothelioma lawyer firms advocating and protecting victim's individual rights. The United States government and asbestos manufactures have been heavily criticized for concealing and not acting enough to inform the public of the dangers associated with asbestos exposure. The removal of asbestos must be undertaken by a professional abatement contractor who is trained in handling dangerous materials. In addition, most people are unaware to the fact that eco-friendly products can cut energy costs. Cellulose, cotton Fiber and lcynene are all green options to be considered. Cotton fiber is made from recycled batted material and treated to be fireproof. The United Nations Environmental Program states that usage of recycled materials such as green insulation methods and lighting can reduce energy use by 25 to 25 percent! These new alternatives will allow for a healthy lifestyle, free and clear of any damaging substances. Have you seen the new South Burlington Youth Lacrosse trailer? 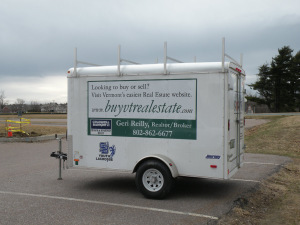 Geri helped sponsor the team by putting her logo on the trailer. Stop by Dorset Park and take a peek at the trailer and catch the lacrosse team practicing or playing a game!